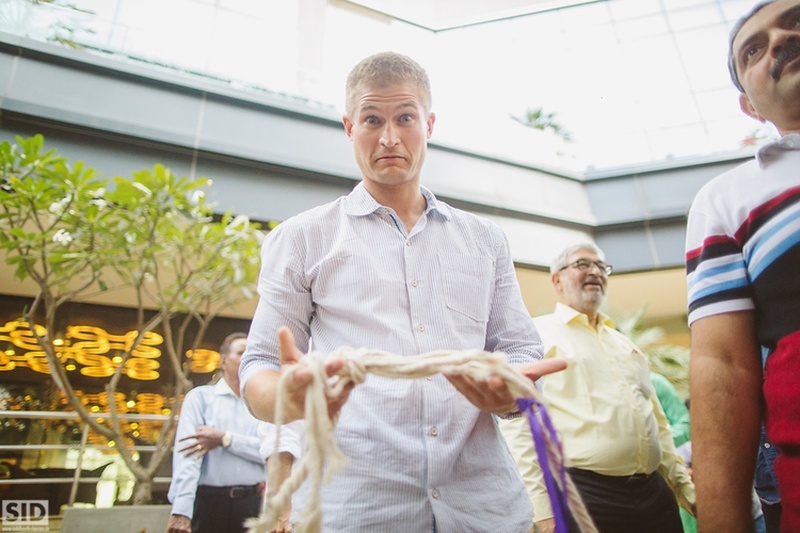 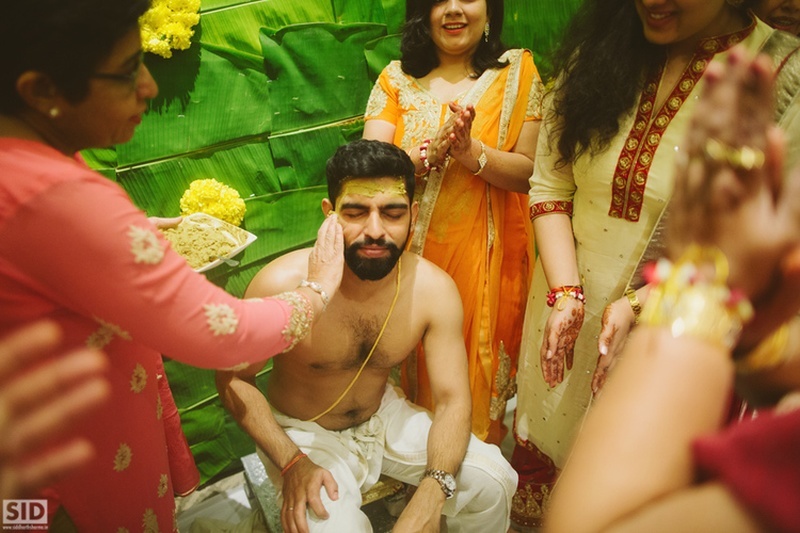 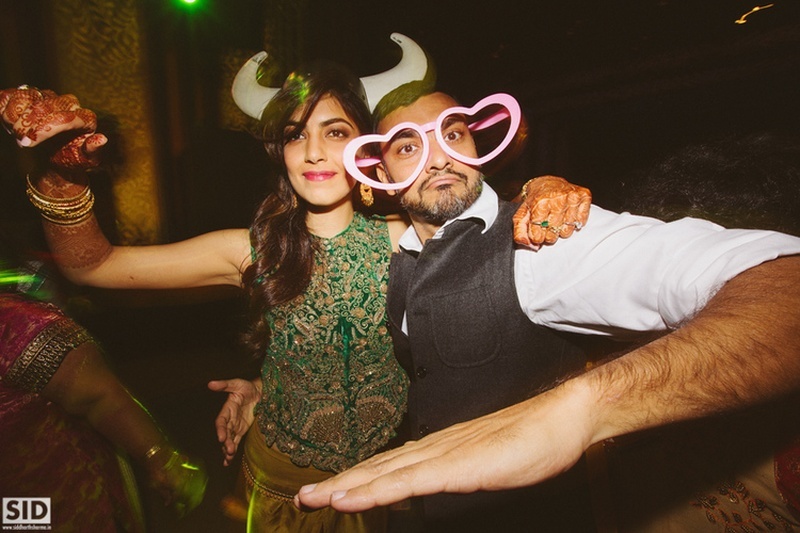 The couple really knew how to set the fun bar high with all their wedding games as well. 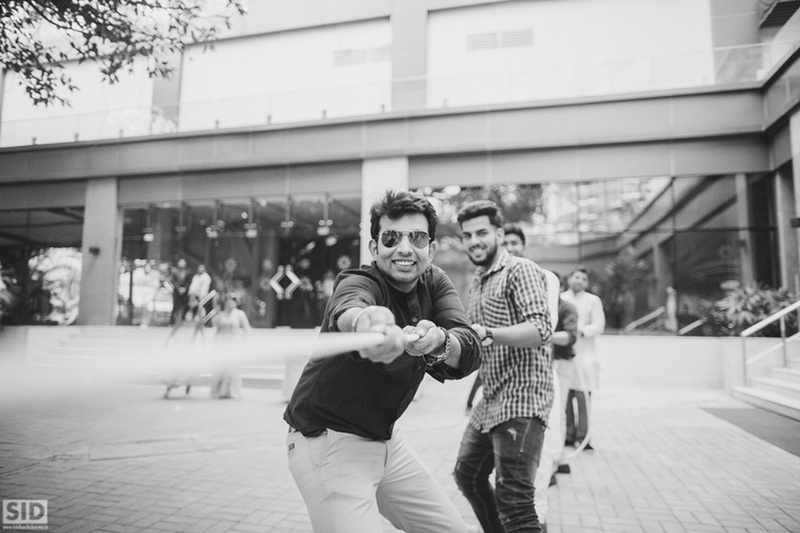 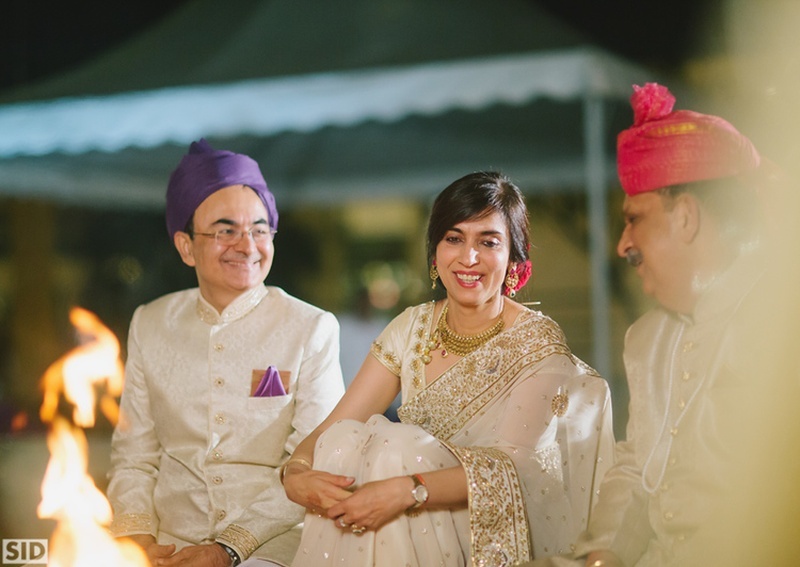 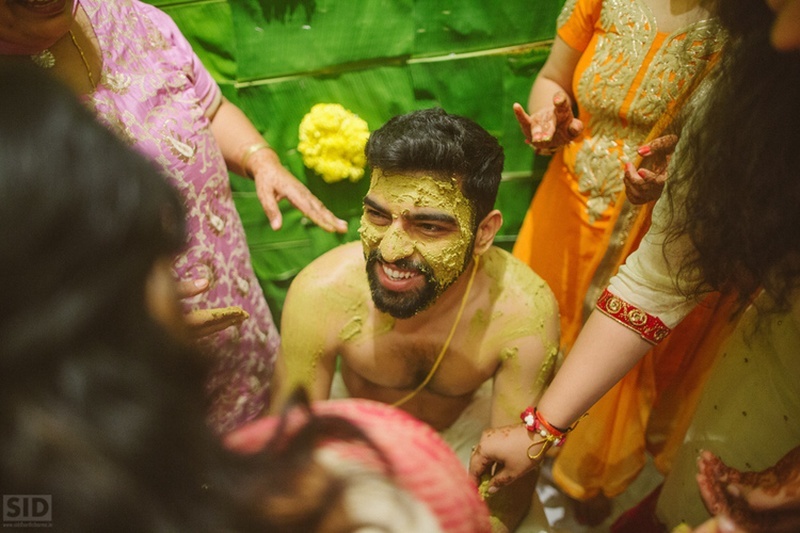 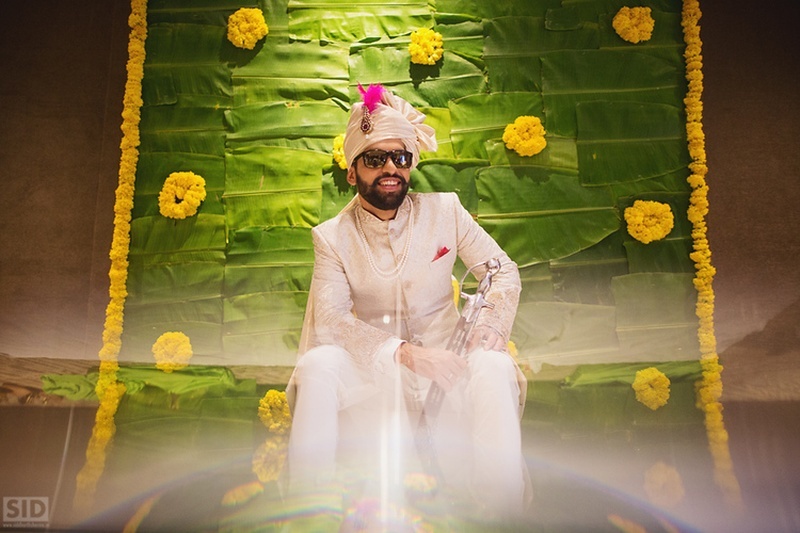 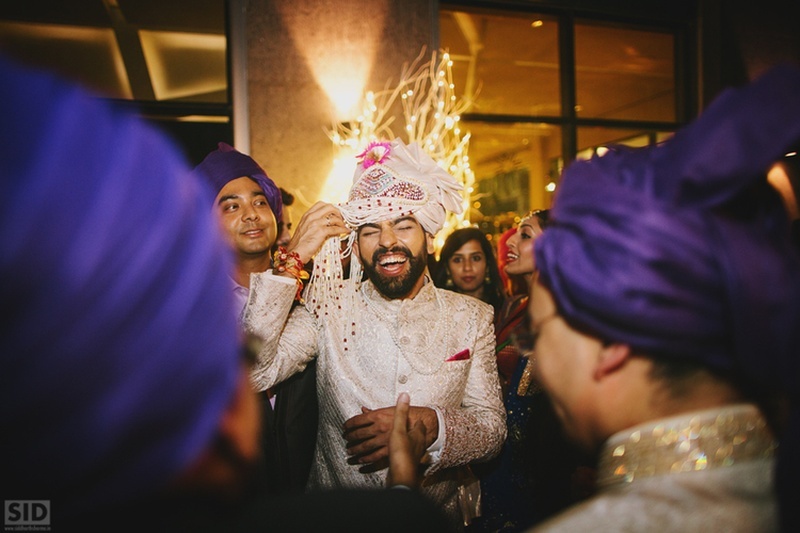 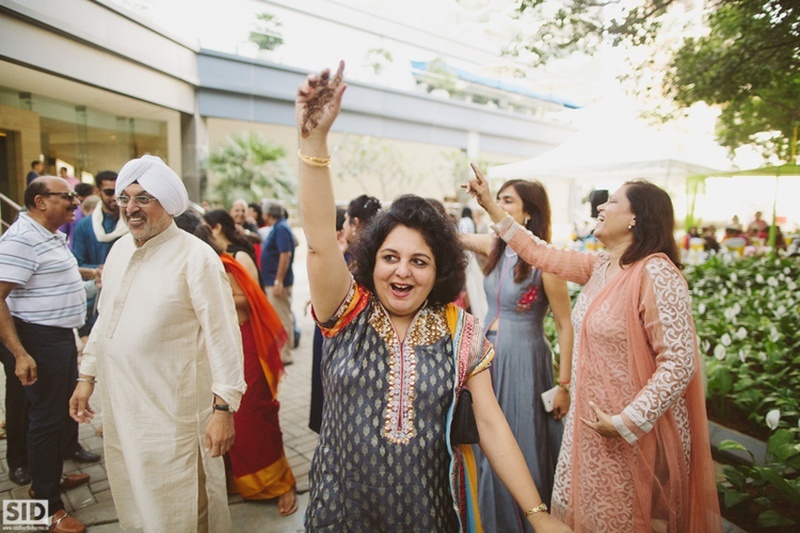 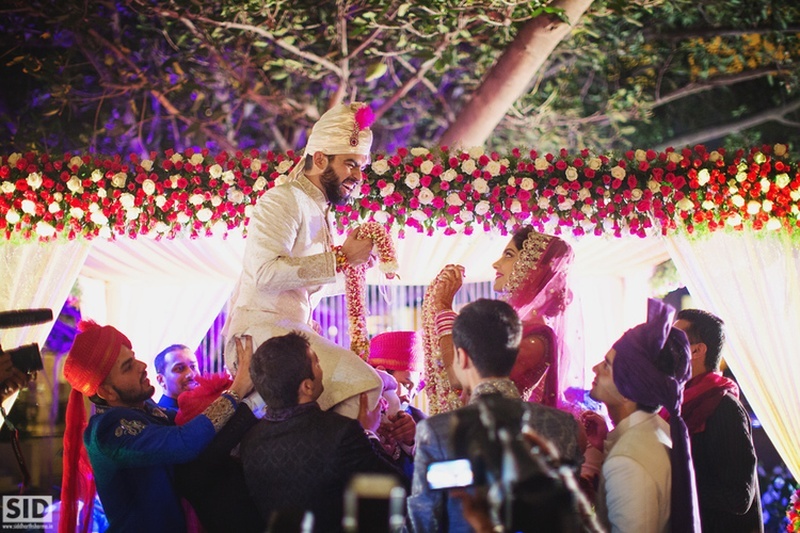 The fun element was just about sky-high at Neha and Ankur's wedding. 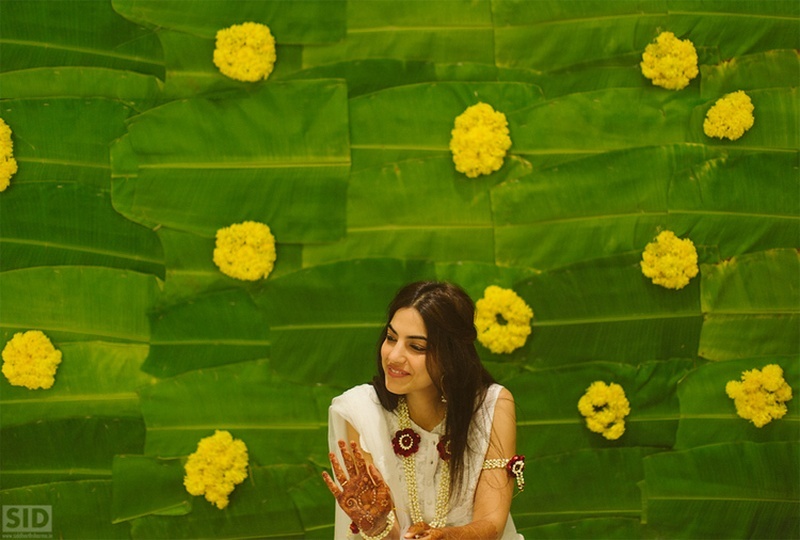 We loved the creative banana leaf - marigold props and the interesting signboards! 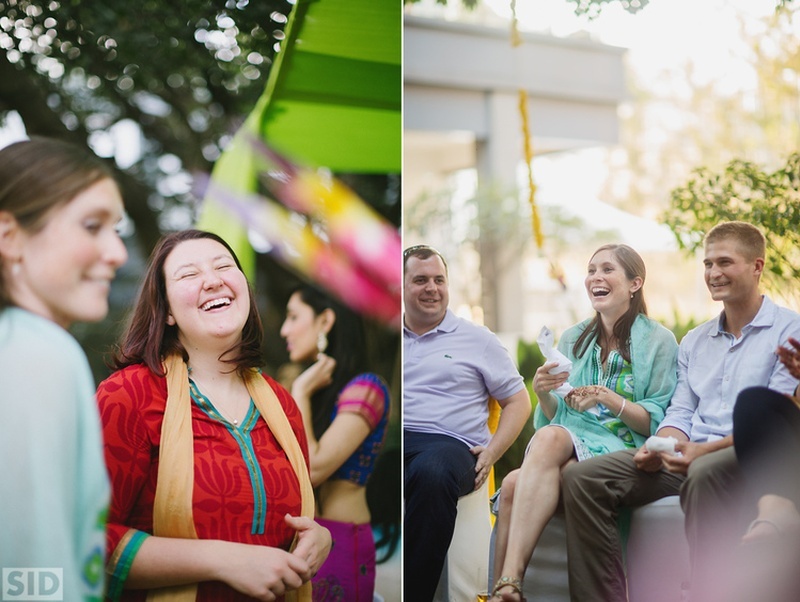 The couple really knew how to set the fun bar high with all their wedding games as well. 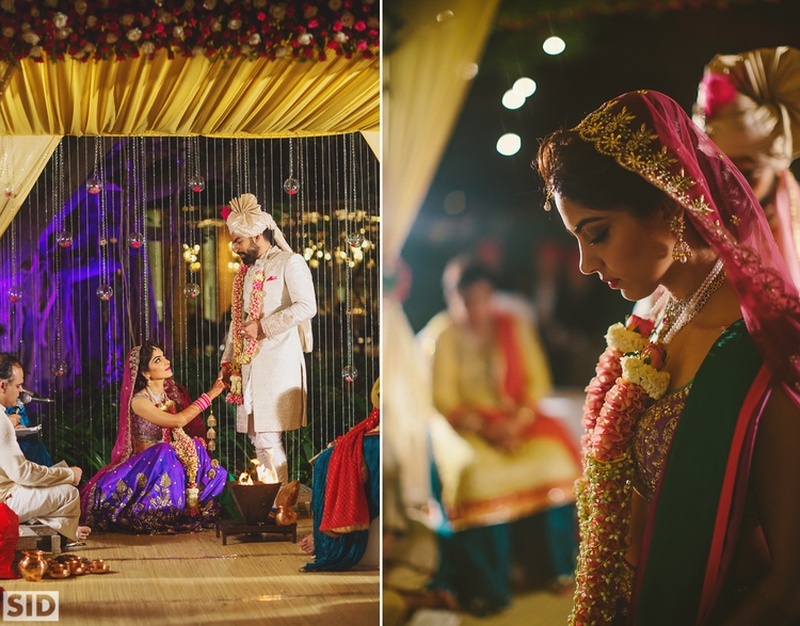 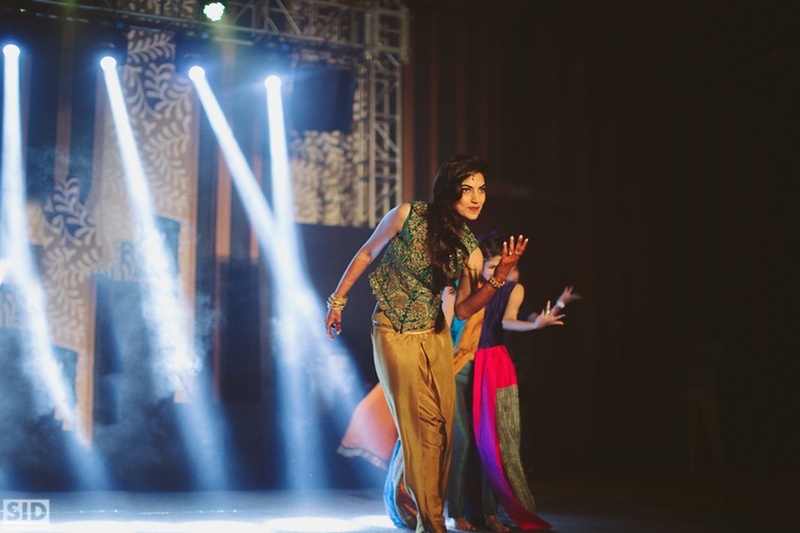 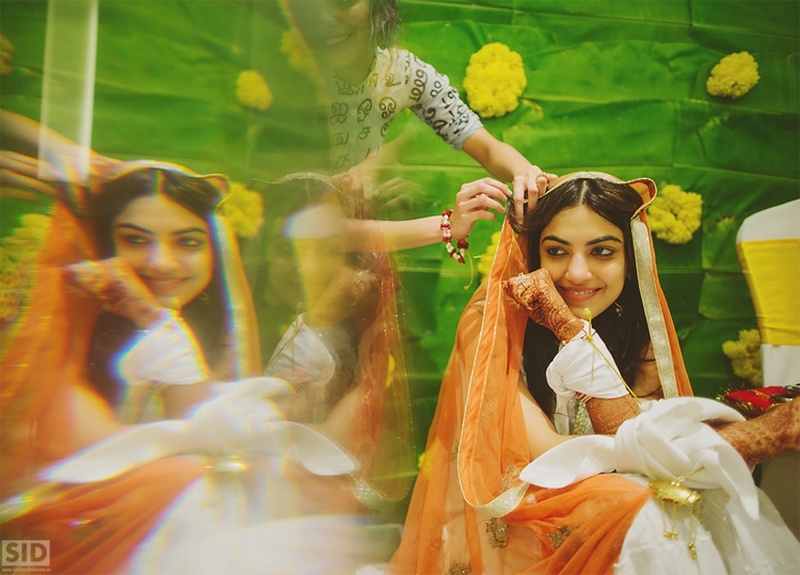 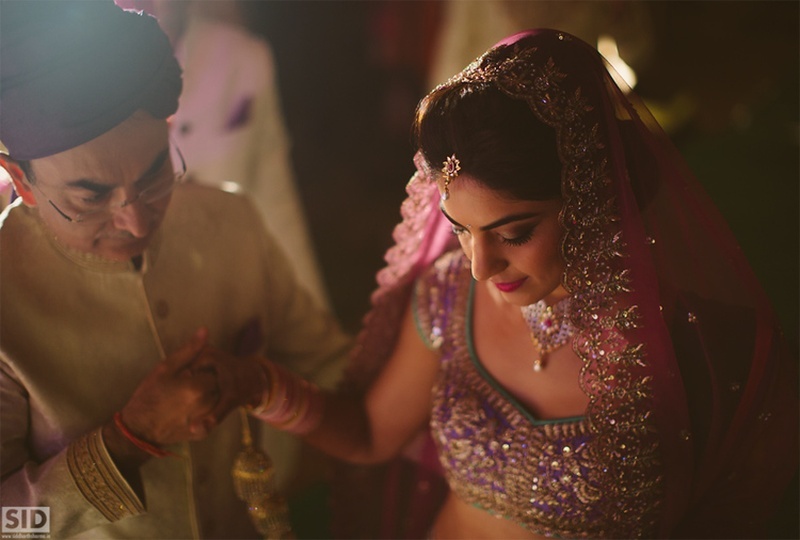 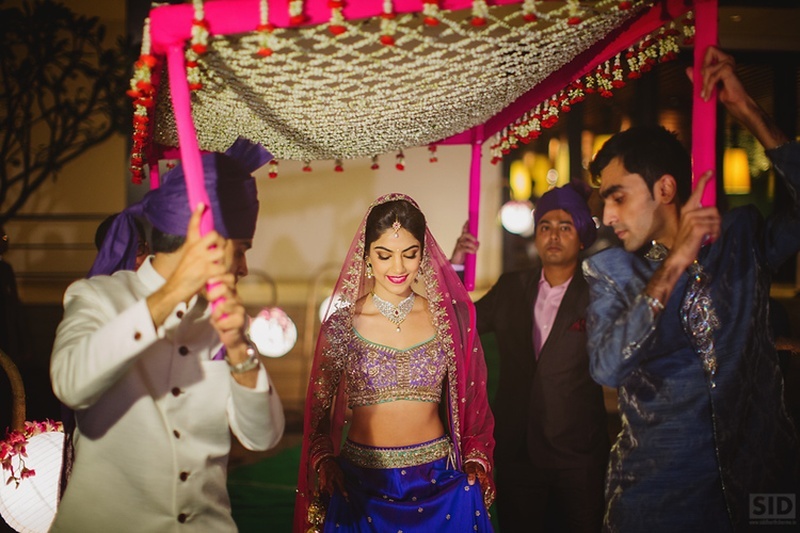 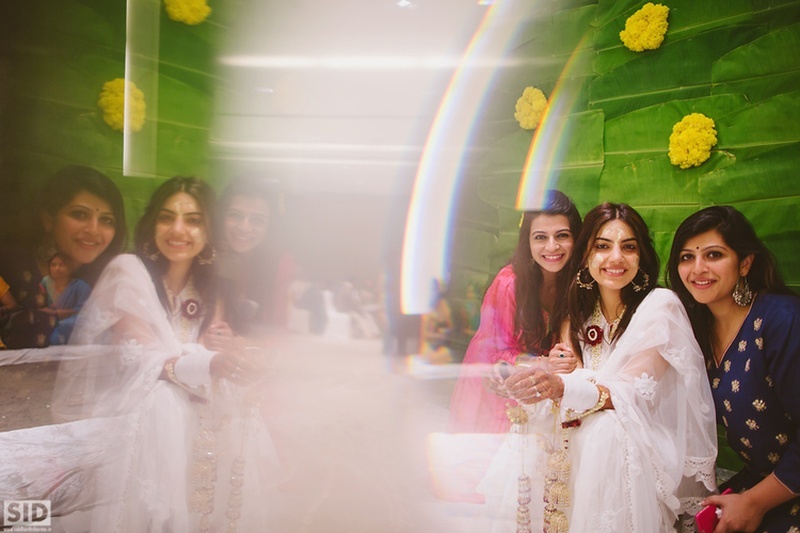 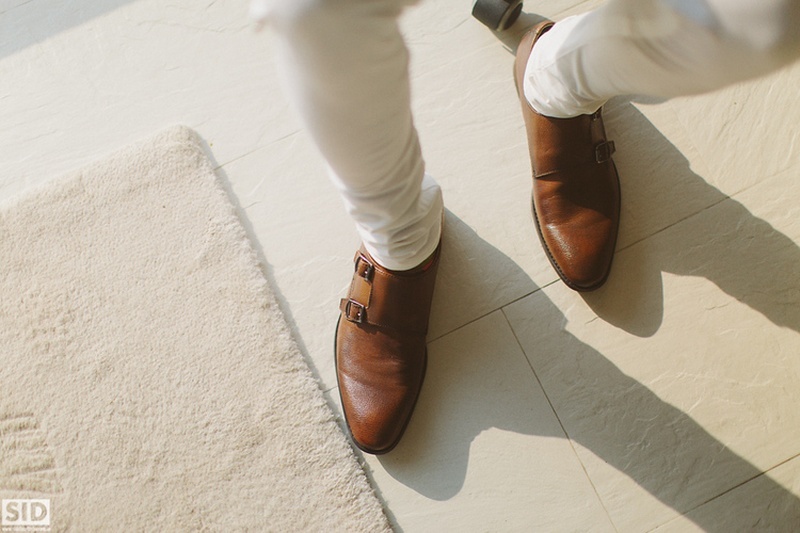 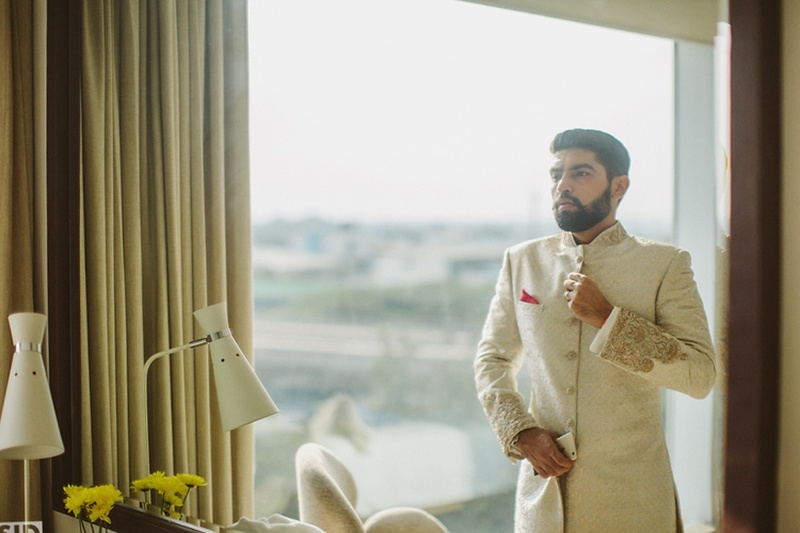 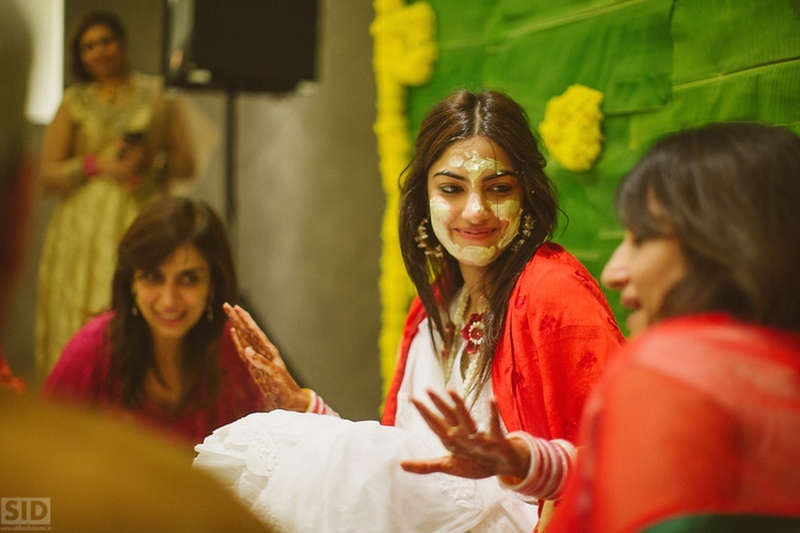 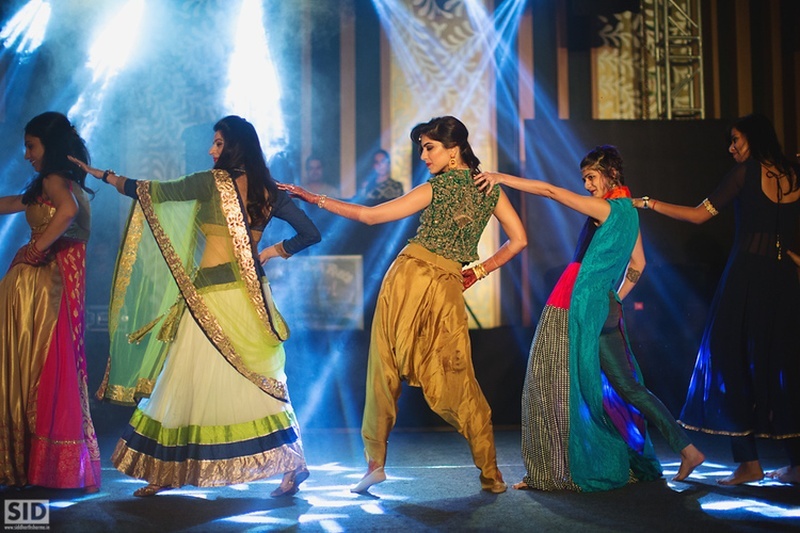 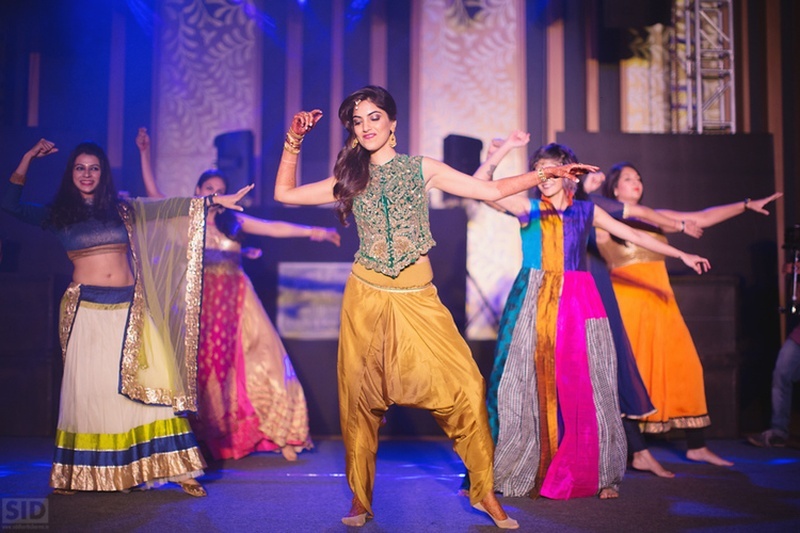 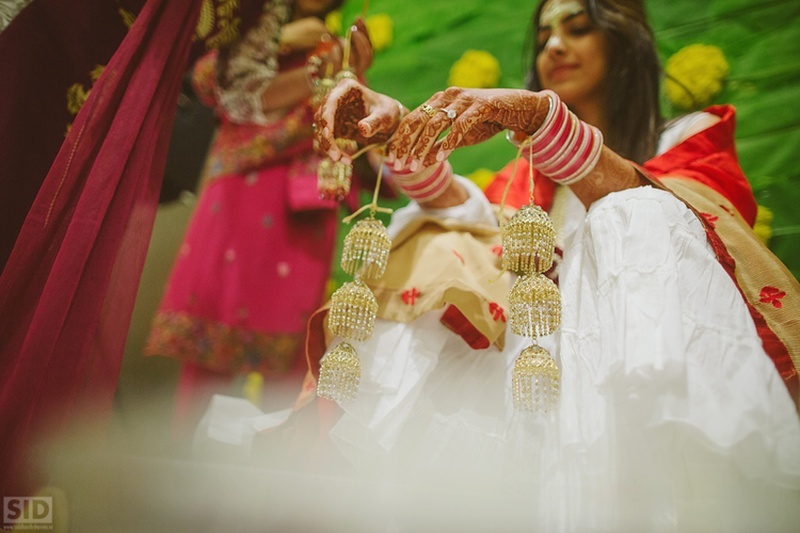 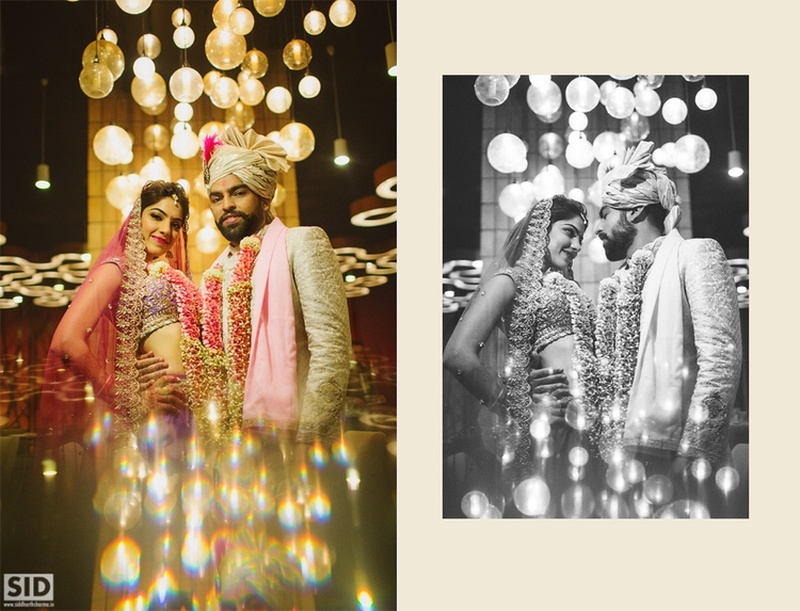 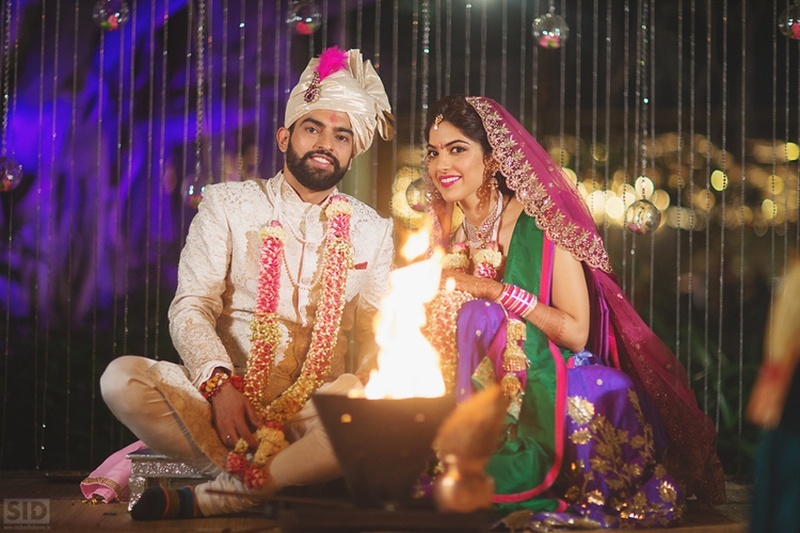 Look out for Neha's sangeet outfit and wedding outfit with an uncommon color palette! 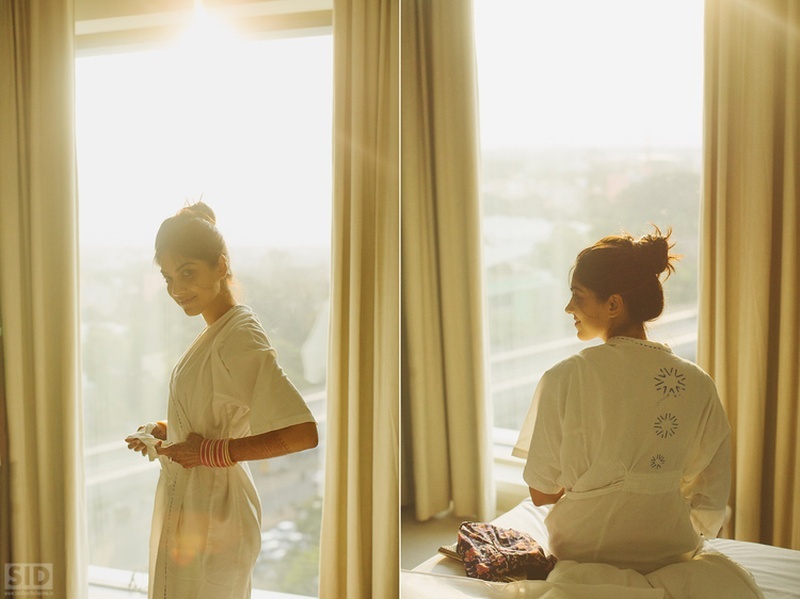 Neha Ankur from House on the Clouds on Vimeo. 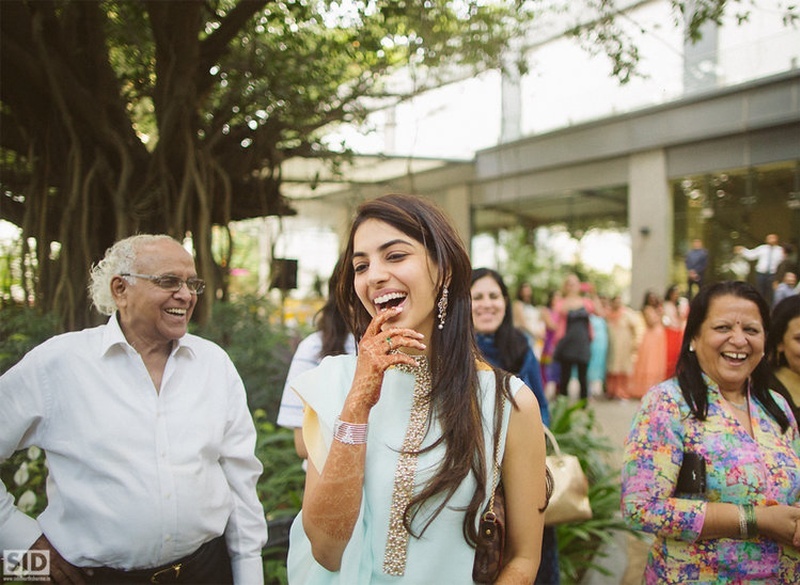 Neha in a light sky blue kurta for the mehendi ceremony with minimal jewellery and makeup. 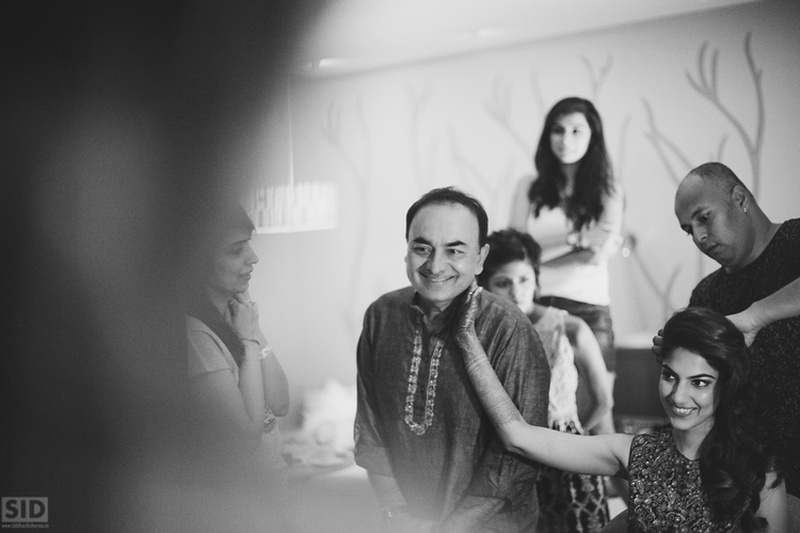 The beginning of family tug of war. 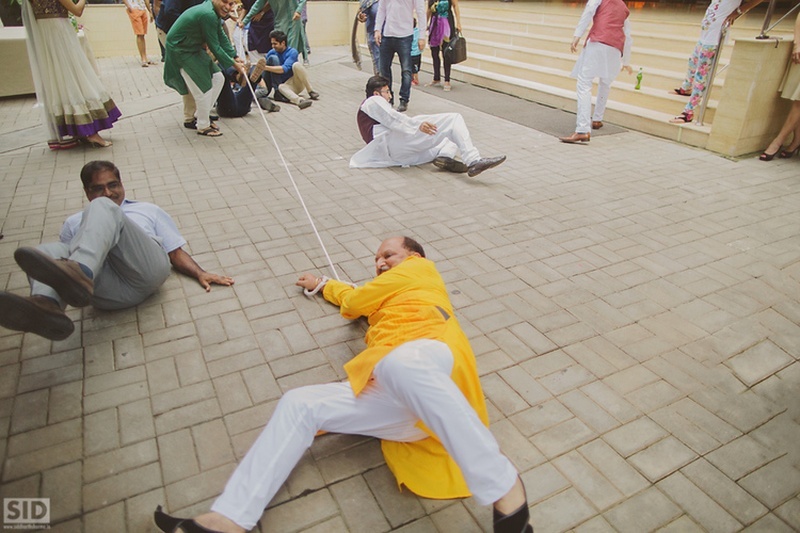 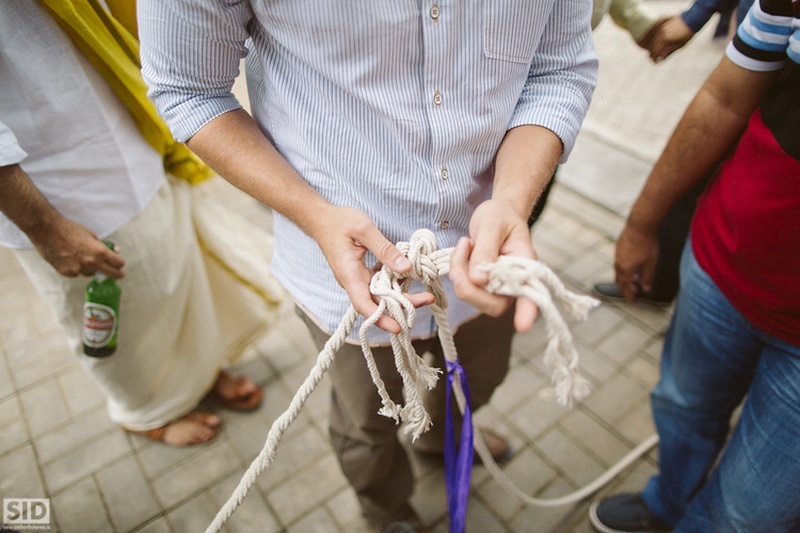 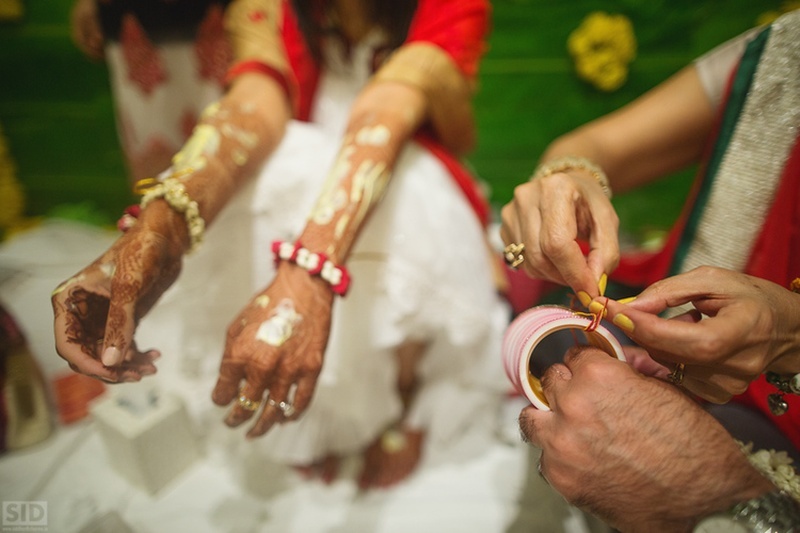 Family having a tug of war on mehendi ceremony. 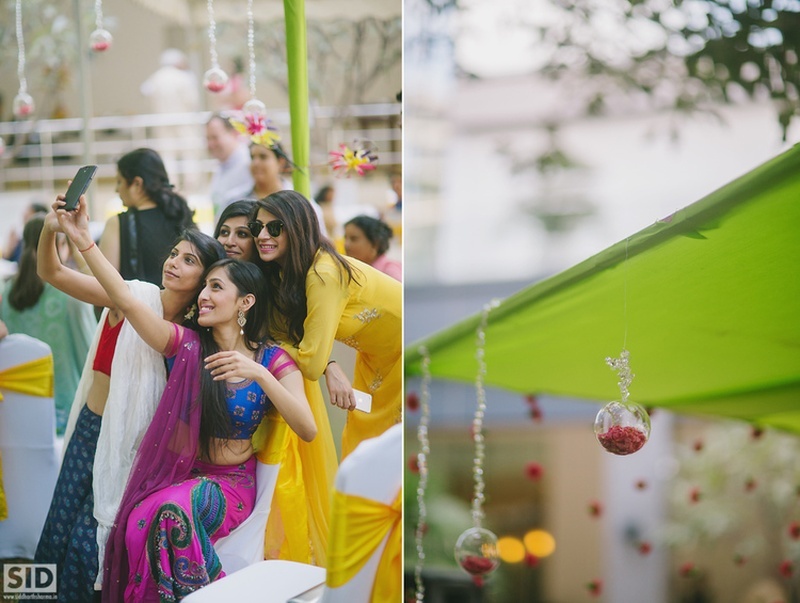 Bridesmaids taking selfies on Mehendi ceremony. 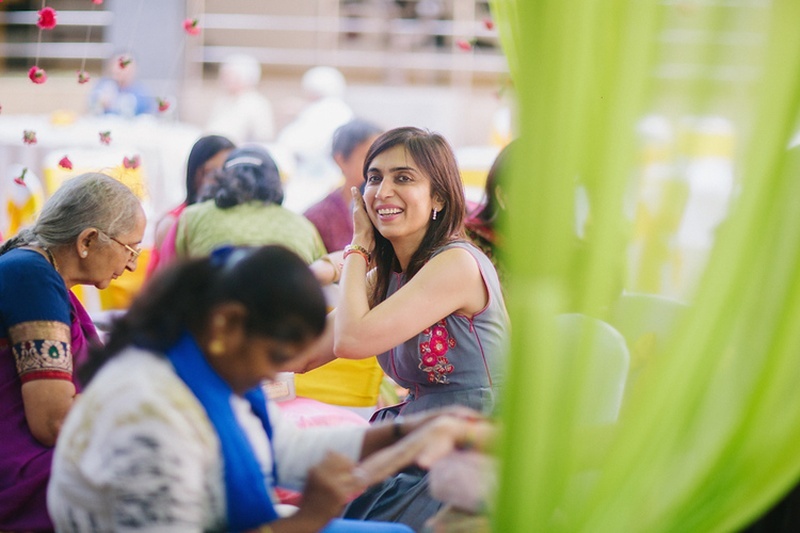 Mehendi ceremony held at Vivanta by Taj, Bangalore. 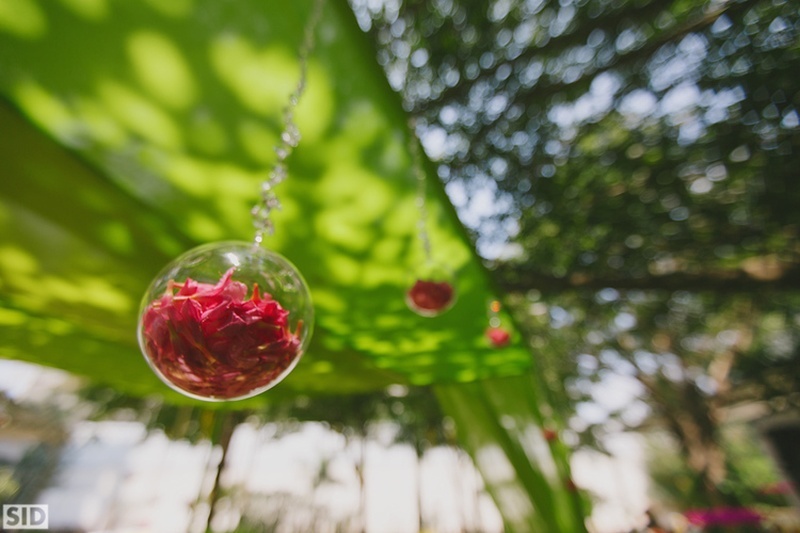 Cute flower hanging decor for the mehendi ceremony held at Vivanta by Taj, Bangalore. 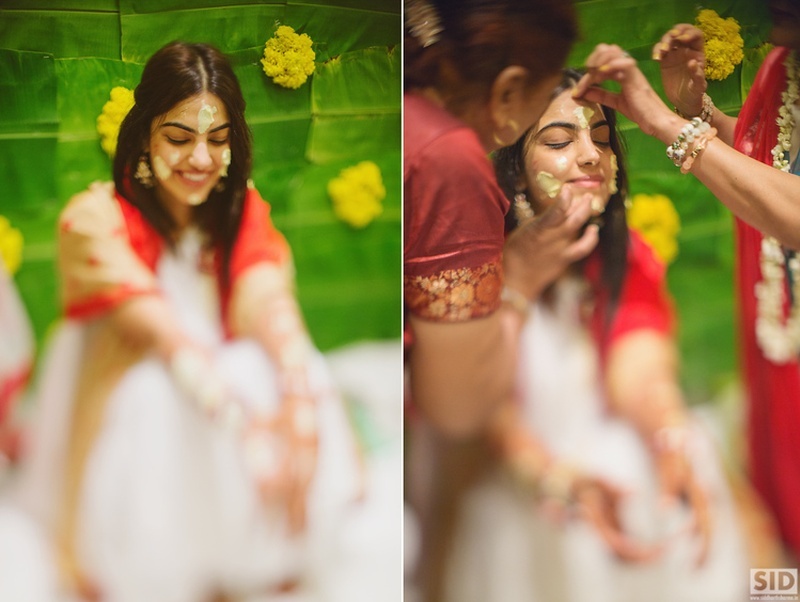 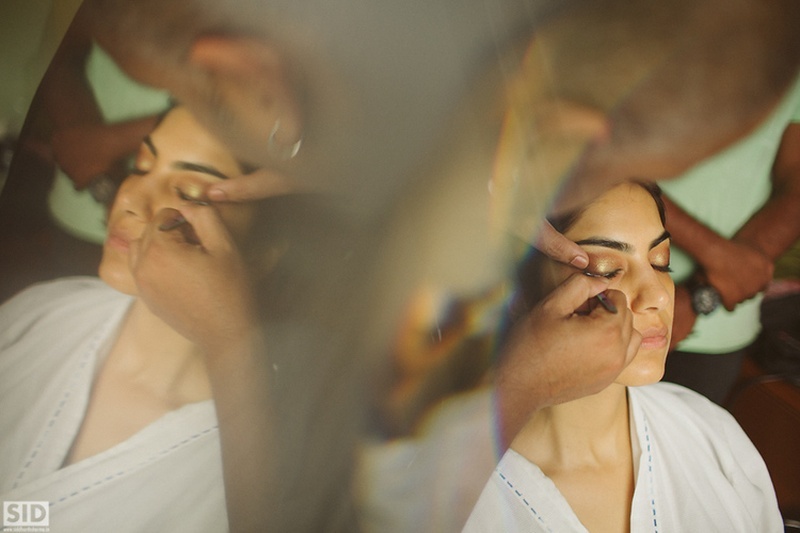 Neha getting ready for the Sangeet ceremony bash. 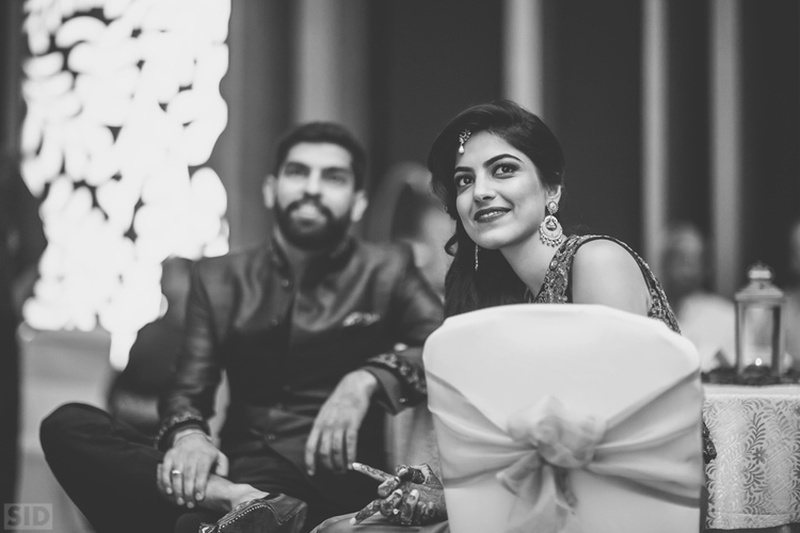 Neha and Ankur at their sangeet ceremony held at Vivanta by Taj, Bangalore. 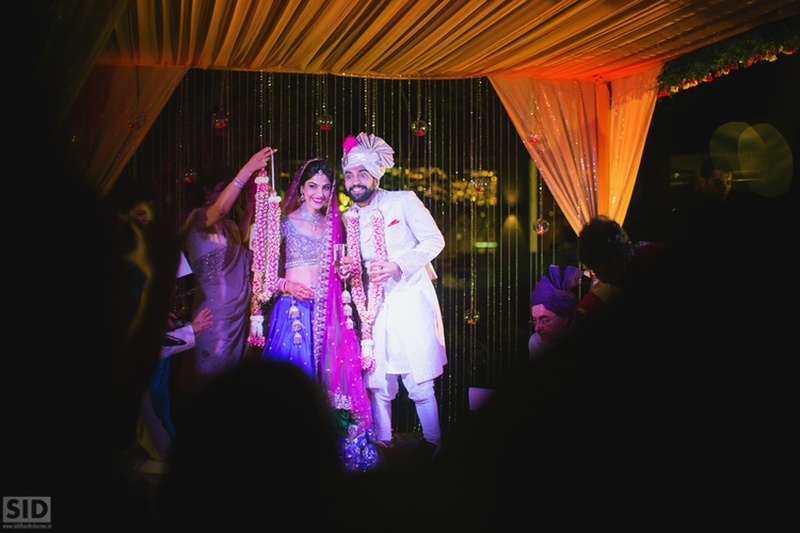 Bride and Groom at a performance at their sangeet ceremony.